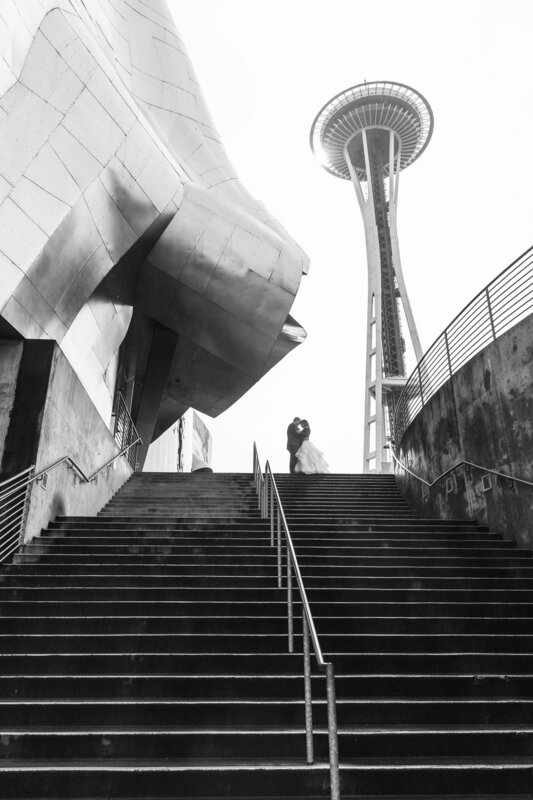 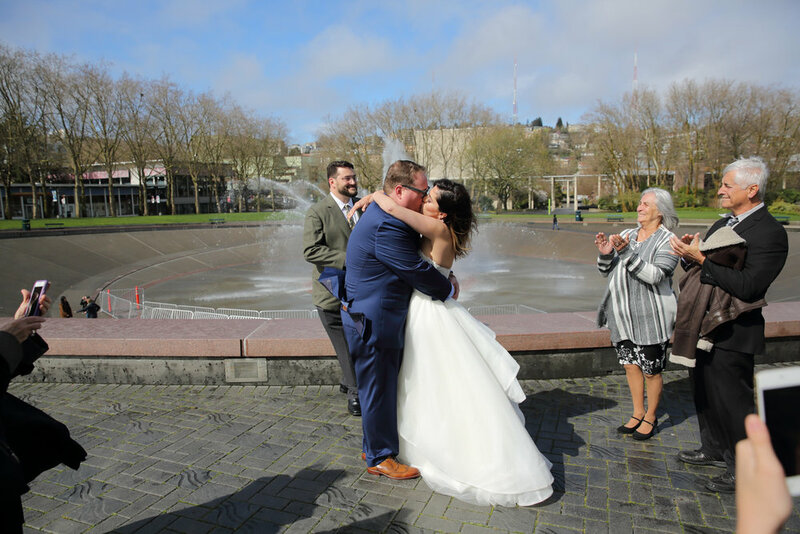 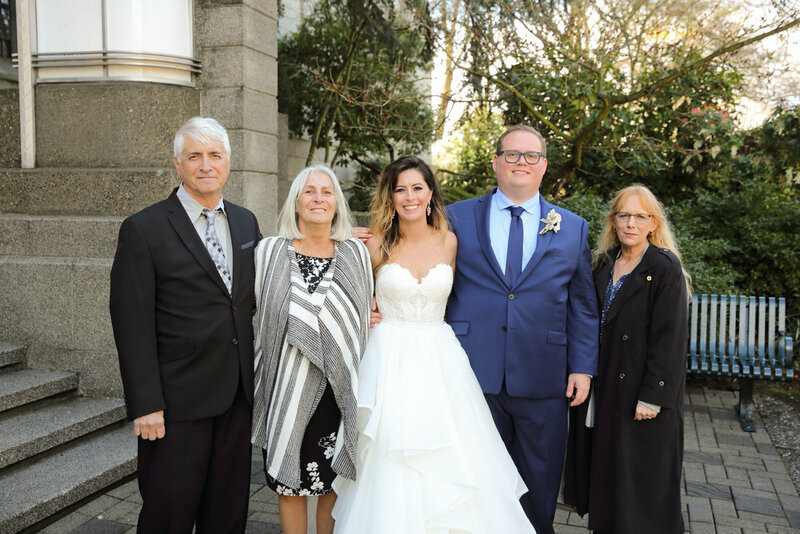 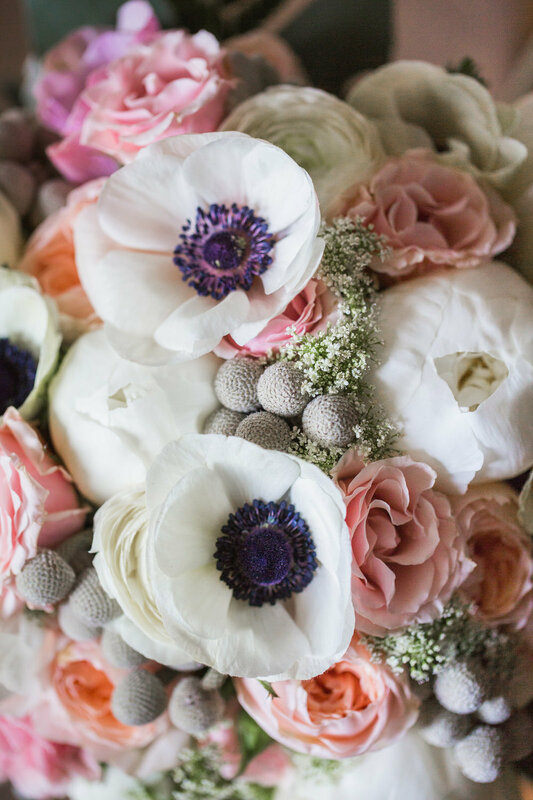 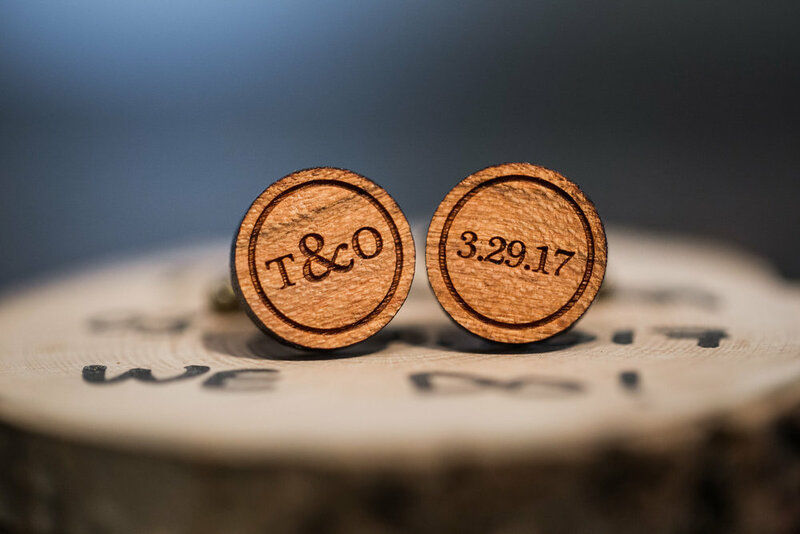 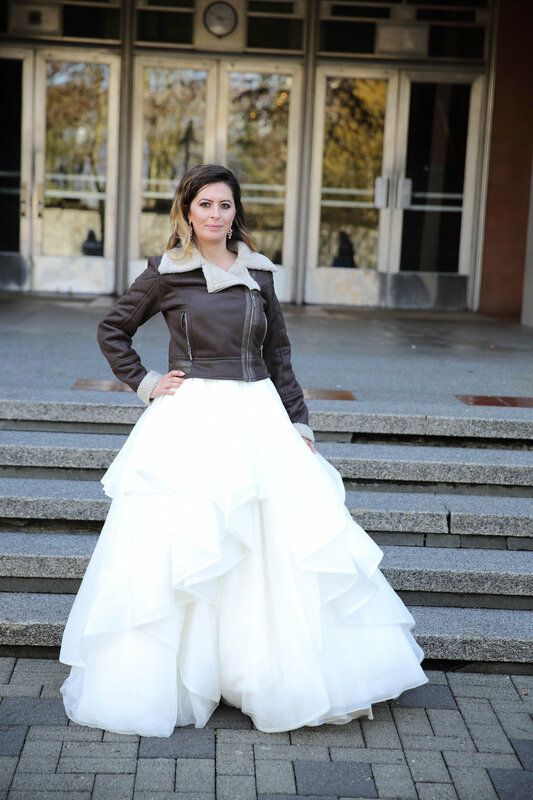 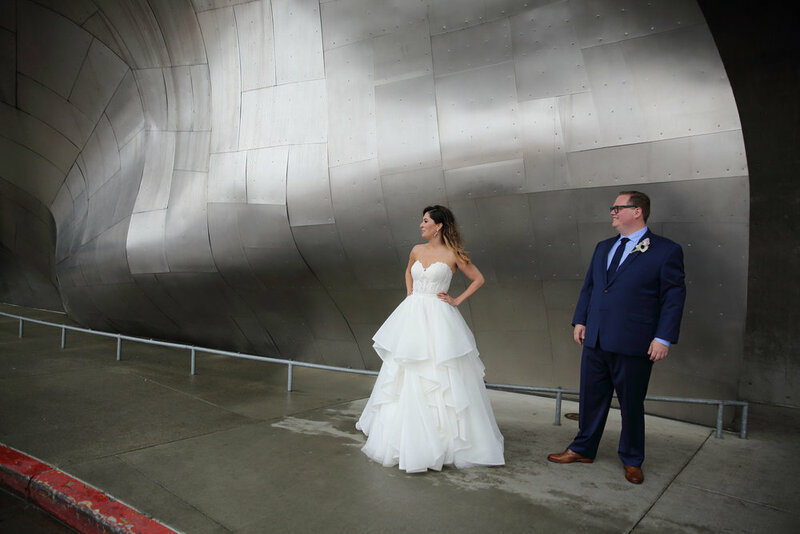 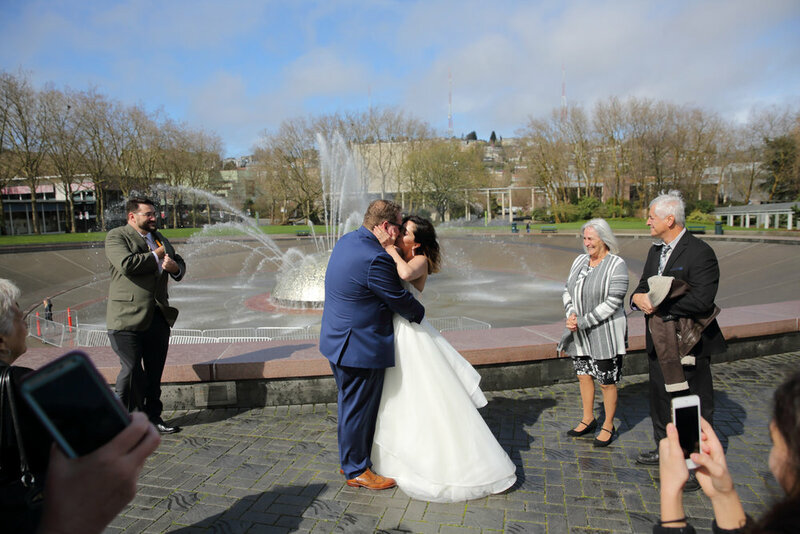 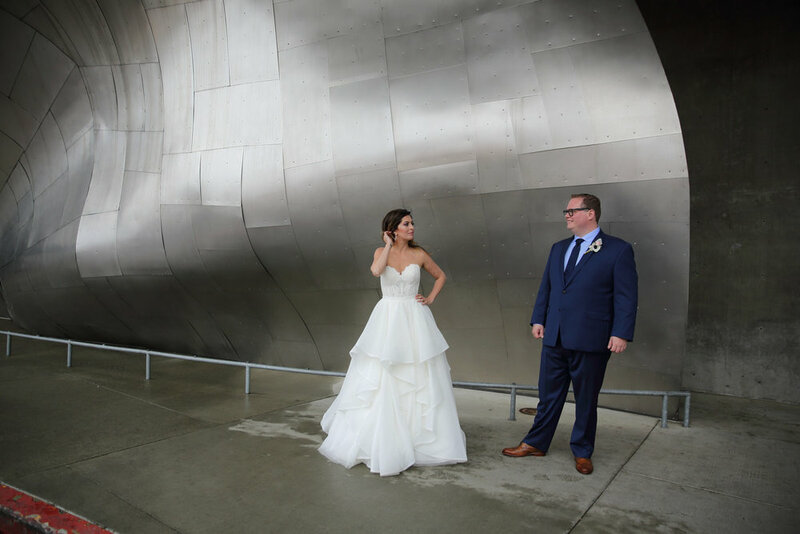 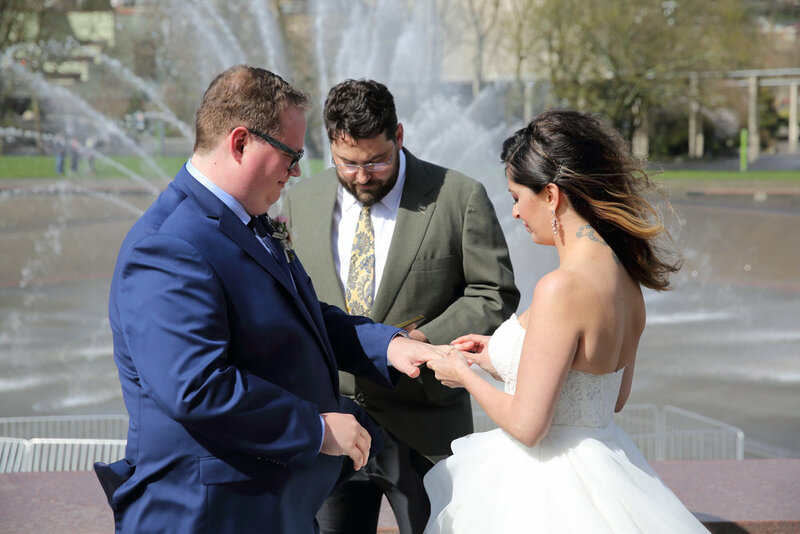 On March 29, 2017 Simon and I had a chance to spend the day with Ora and Tyler who came to Seattle to have their wedding at the Seattle Center. 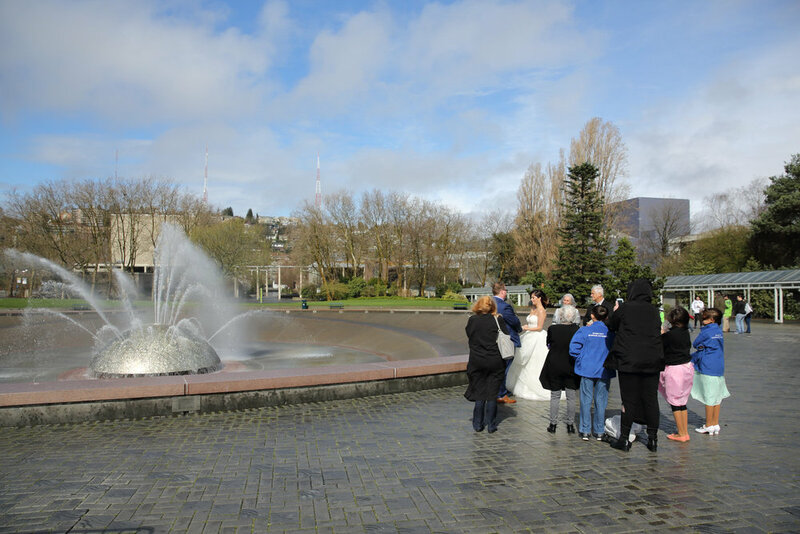 They had a small group of friends and family show up at the International Fountain for their ceremony. 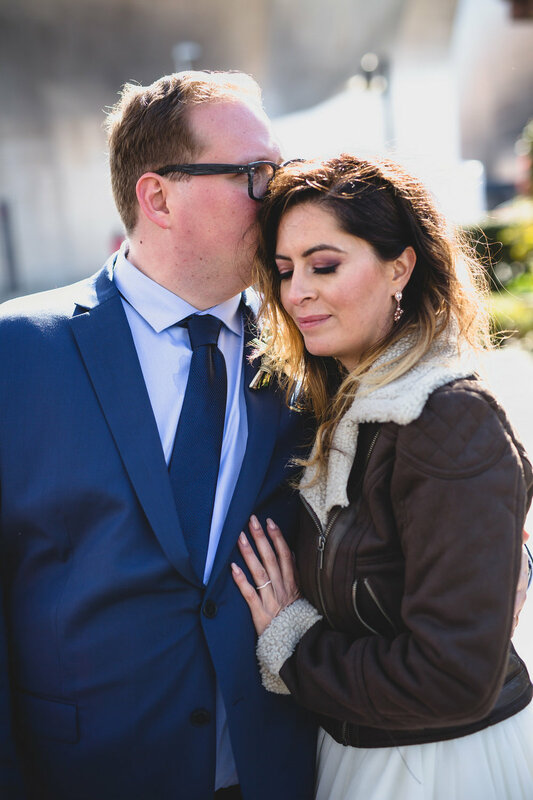 They both were very generous allowing us to take them around for some amazing photos before the ceremony! 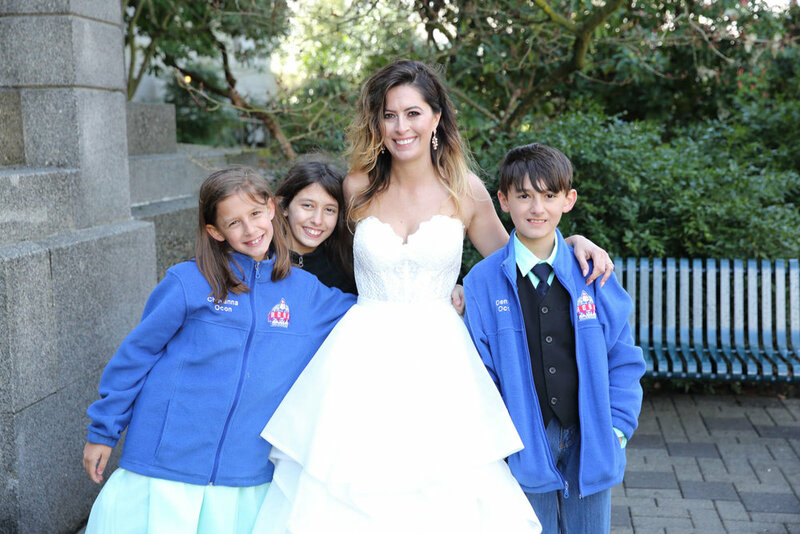 It was nice to see that Ora had hired one of our favorite Hair and Makeup artists Kendra Springer from KLS Makeup Artistry. 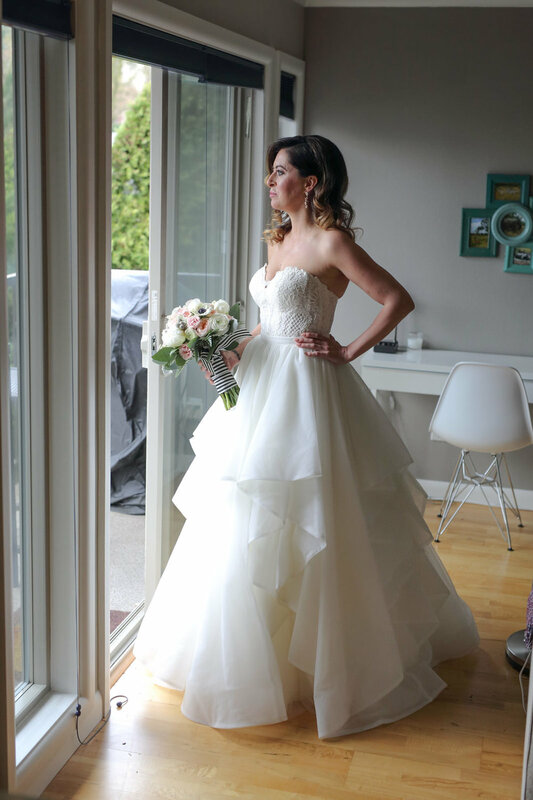 We can't say enough great things about her! 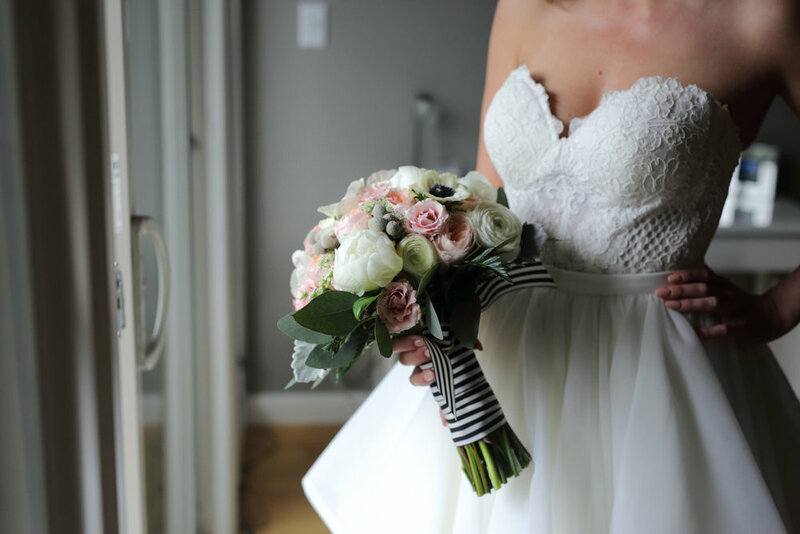 If you are looking for someone, give her a call.